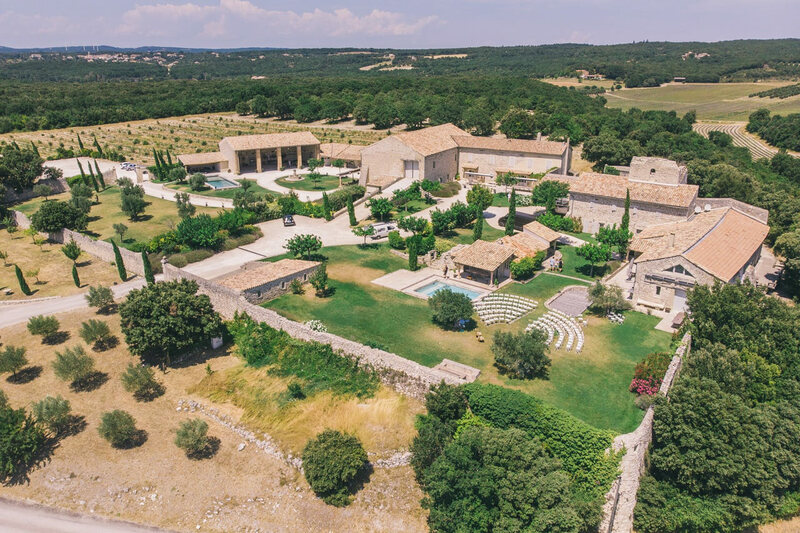 An exceptional venue for your wedding, bordering the French department of Vaucluse, in Provence, superbly rising from the heart of an eleventh century priory, full of history and charm, with panoramic and breathtaking views of the whole area. An enchanting site towering over awe-inspiring views of lavender fields. Nestled on a hilltop overlooking Grignan in Drome Provencale, the Domaine stretches over 15 hectares. Enveloped by the fragrance and the purple color of the lavender fields, you will be captivated by the unique beauty of this domaine. 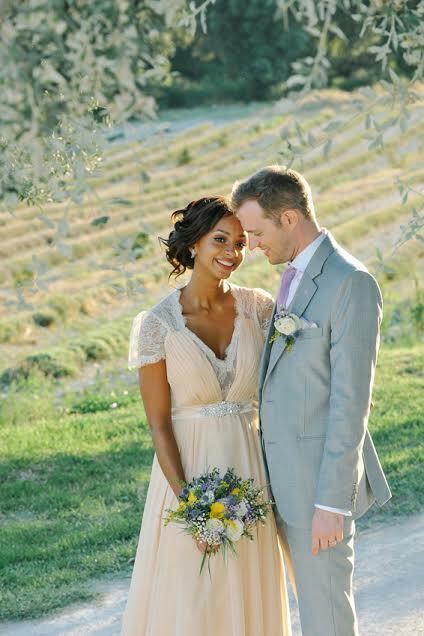 The Domaine will be totally private for your wedding; you will thus be able to enjoy all its benefits such as its vast green parks adorned with century old olive trees, its shaded patios and its swimming pool. The Domaine de Sarson is a safe haven whose spirit inspires peace and serenity, relaxing feelings well needed during such a special event. by this corner of paradise, nestled in the thick of nature within the Drome Provencale. Moreover, the Domaine de Sarson will allow you to hold your wedding inside as well as outside . 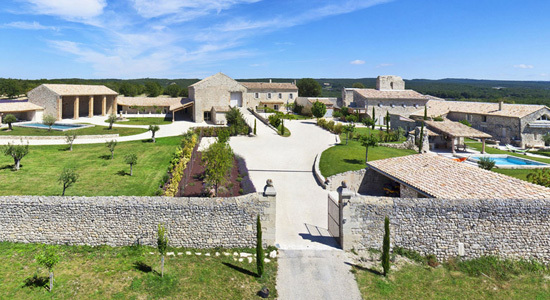 The Domaine has a beautiful 270sqm vaulted reception area with a 250-seated capacity. This gorgeous ground floor space opens up to shaded patios and a large green park. For the cocktail party, the wedding dinner and the next day brunch you can enjoy 400sqm of covered patios including an open 200sqm white brick barn, a bucolic as well as refined and relaxing setting, a dream site to host a wedding. Regarding accommodations, your family and your guests will be able to sleep on site, 77 beds available which give the Domaine the feeling of a big family home. 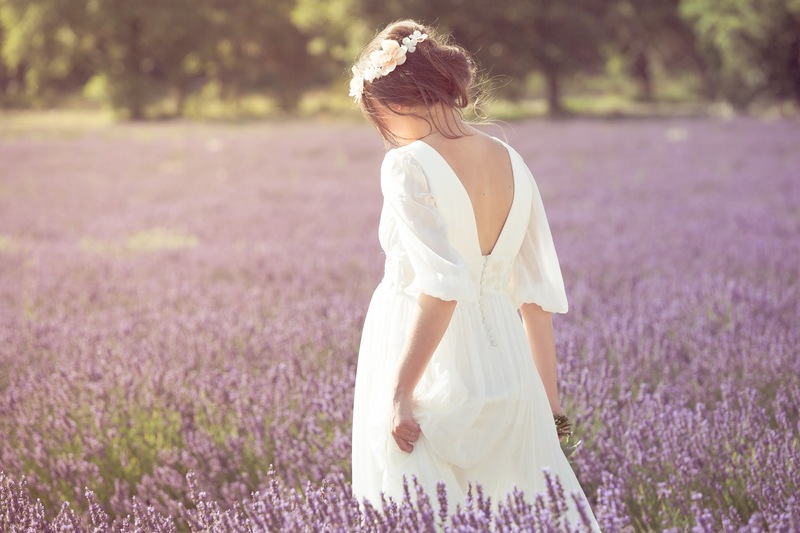 What more could you ask for your wedding in Provence than lots of Love, Tenderness and Magic. And who better than the bride and groom themselves to testify about this venue that will bring happiness to one and all? So don’t hesitate to read about all the flattering comments in the “Livre d’or” of the Domaine de Sarson.